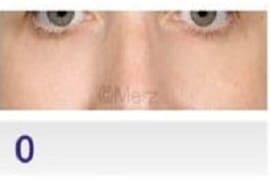 How to get rid of dark circles under eyes ? The sunken dark circle is often linked to the constitution, and one finds it even amongst adolescents. 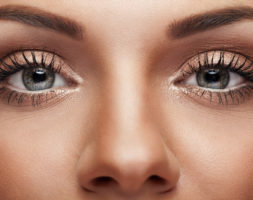 With age, changes to the bones and muscles (namely the orbicular eyelid muscle, dermal changes and the loss of density of under-eye fat) can create or accentuate dark circles. Fatty melting or its genetic absence is responsible for a hollow. Caused by a pigment deposit (melanin), often hereditary. Caused by the visibility of the capillary vessels of the dermis which appear by transparency under an extremely fine skin. It is hereditary or related to age. L’acide hyaluronique fait disparaitre le cerne creux et amélioré le bleu et le foncé. Le cerne est une indication délicate et il est recommandé de choisir un médecin très expérimenté et formé à la technique. – Injections must be made at the correct depth. 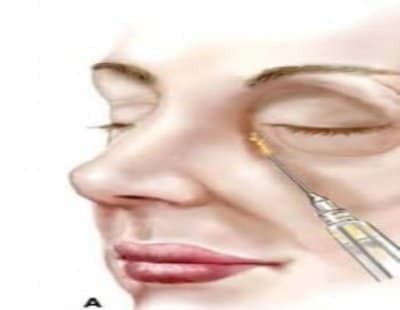 The product is injected between the eyelid orbicular muscle and the bone, thus this is a deep injection. – The doctor must not overcorrect the problem: it is better to carry out the injection in two goes. – It is best to inject the acid via a cannula. Cannula injections allow us to avoid any vascular complications (the risk of complications is significant as this area is full of veins) and the patient is only jabbed once (needle injection requires several jabs). – The correct product must be injected. The hyaluronic acid used must be sparsely hydrophilic in order to avoid secondary oedema or swelling, so I use the Restylane range where the hyaluronic acids are amongst the least hydrophilic on the market (perhaps even the least hydrophilic on the market). Depending on the sunken depth of the dark circle and the facial physiognomy, I inject a moderately reticulated Restylane hyaluronic acid, or even a very reticulated Restylane Perlane acid. 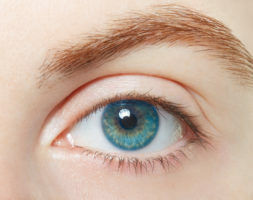 Technical faults can lead to overcorrection, a bluish effect (the Tyndall effect, due to the overly superficial placing of the hyaluronic acid), persistent bumpy surface irregularities, and permanent swelling (swollen eyelids). In this case, hyaluronidase injections offer a solution. 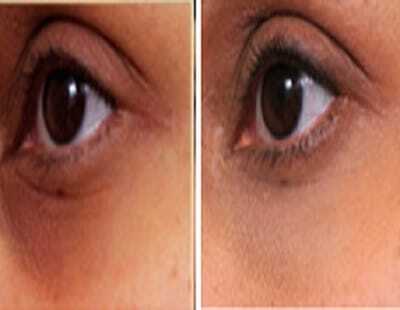 The reference treatment for dark circles is carboxytherapy one session per month for 4 to 6 months. 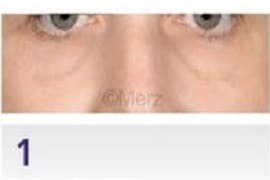 The injection of CO2 is made intradermally by practicing 4 or 5 injections following a circular arc along the orbital frame. 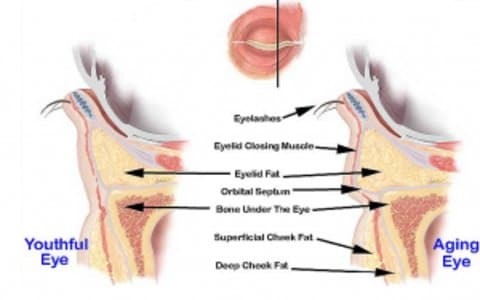 Note: we have a very impressive swelling of the eyelid that lasts only a few minutes. The vascular circle (blue) can be improved by carboxytherapy. This type of laser can be used for blue circles. We perform 4 sessions. 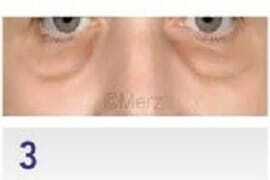 It is indicated in the mature people, who with time undergo a thinning of the skin of the lower eyelid, which allows to see the dermal vaissels. By thickening the skin with this laser, the vessels will be less visible. 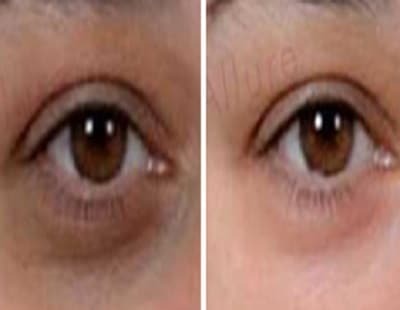 For brown dark circles it is used to create micro-ablation wells that promote the removal of pigment and the penetration of prescribed depigmenting creams that stimulate dermal synthesis. 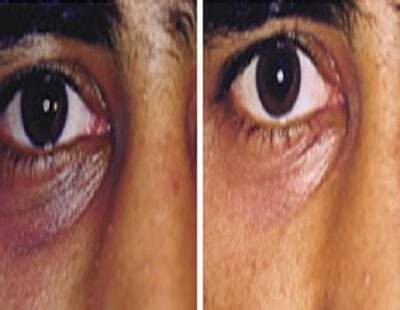 A thicker dermis reduces the dark color of the dark circle. 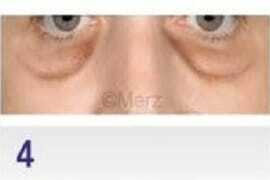 Vacsular laser is theoretically a good treatment for the red component of dark circles. 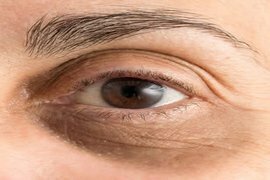 In practice we can not treat the whole area because of the proximity of the eye and the result does not last long. The Qswitched laser is used in very specific indications by an experienced practitioner. 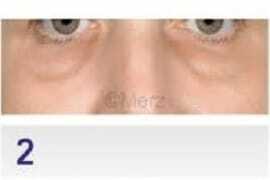 After effects are marked by significant swelling of the lower eyelid for two days. One session is enough. I consulted Doctor Romano for rings. Her professional competence, her rigor and seriousness are obvious. The result is perfect. If you want to get rid of your circles in all safety and in good hands, this is the doctor you need. Having very marked rings, I had to constantly put on concealer multiple times a day. Doctor Romano, you gave me a fresh and rested gaze. Thanks. I recovered my gaze from 10 years ago! (I’m only 35) but I looked too tired. An expression of tiredness. 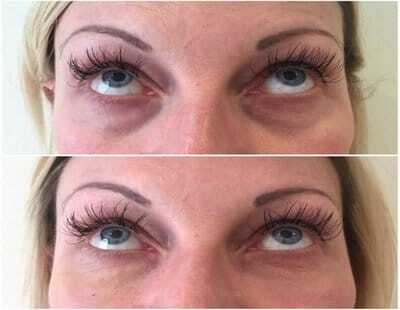 The injections not only filled in my rings but gave me a radiant face. Carboxytherapy 60€ each session, it needs 10 sessions.